Join us this Saturday for a day of empowering yoga flows! All levels, all yogis are welcome. Classes will be led by Dallas studios: We Yogis, Yoga Pod, V12 and Exhale. Special appearance and autograph signing by empowHering 7x Olympic medalist, Dana Vollmer starting at 11:30 AM. This Mother's Day weekend come be part of the first-ever Noya EmpowHer Movement. It's Noya's 2-year anniversary and we’re going BIG! 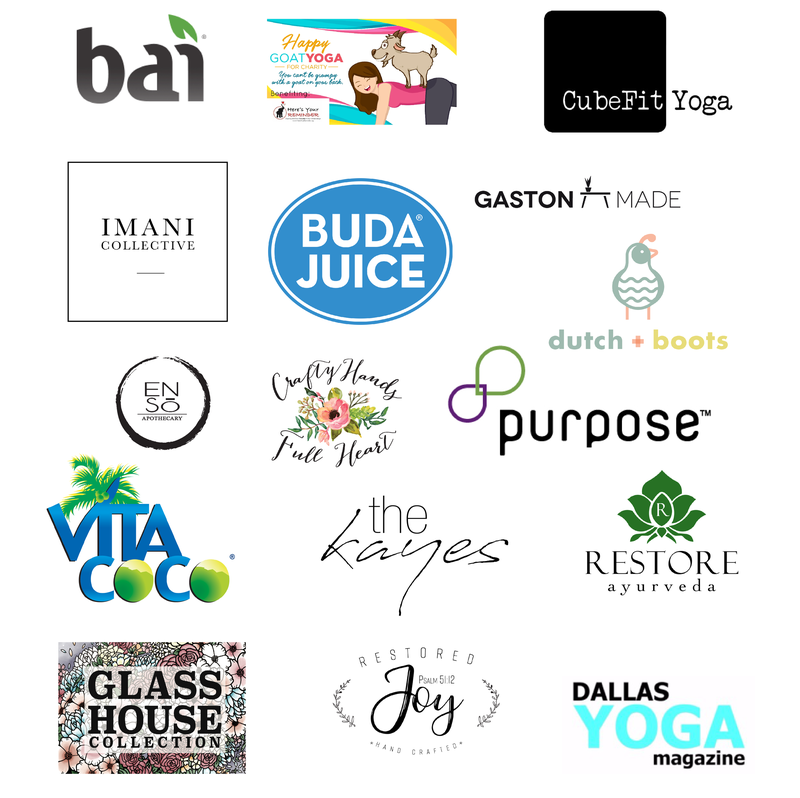 We've teamed up with the Dallas Fitness Ambassadors for an epic yoga festival hosted at the beautiful and bustling Dallas Farmer's Market. Noya apparel is activewear designed by women for women. We promote body-positivity, women empowerment, and eco- conscious living through our eco-friendly yoga apparel. The EmpowHer Movement was inspired to celebrate badass women both in business and in life. Bring your mom and some friends, get your sweat on, and support local. All genders welcome! Beginners to pros are welcome! 2 hours of playtime and 2 hours of yoga with adorable animals! 11:30 -12:30 p.m. ~ Puppy Playtime! 1:35 - 2:35 p.m. ~ Goat Playtime! Puppy cuddles are courtesy of our friends at Operation Kindness, a no-kill animal shelter. Goat Yoga is provided by Happy Goat Yoga and benefits Here's Your Reminder Project, a mental health nonprofit. Be part of the Movement. Get four beautiful, outdoor, high-energy, empowering classes to choose from...or take all four! And you get a sweet tote to take home? Hint: arrive early! Mix and match between full flows and workshops. Breakdown those pesky-challenging poses you've always wanted to nail and do it for less than the cost of one standard studio workshop. Main stage, workshops, puppy/goat yoga + organic muscle tank-top! You are IN IT TO WIN IT! You have access to all of the day's activities, plus you get an eco-friendly tank to take home with you. You know an amazing value when you see it. Good on ya! But if you're looking to spend a million dollars, email us. We have some ideas. Parking is FREE at the Dallas Farmer's Market. Park in the free parking garage located in the Harvest Lofts building. It is located across the street from both The Market and The Shed and the two entrances are off of Harwood Street. There is also excellent public transportation available. Take the Dart to the St. Paul stop and it's less than a 3/4 mile walk from there. Learn more about our amazing studio sponsors and vendors on our Facebook event page! Share all of your Movement photos! Main stage, workshops, puppy/goat + organic muscle tank! You are IN IT TO WIN IT! You have access to all of the day's activities, plus you get an eco-friendly tank to take home with you. You know an amazing value when you see it. Good on ya! Access to main stage + workshops Mix and match between full flows and workshops. Breakdown those pesky-challenging poses you've always wanted to nail and do it for less than the cost of one standard studio workshop.